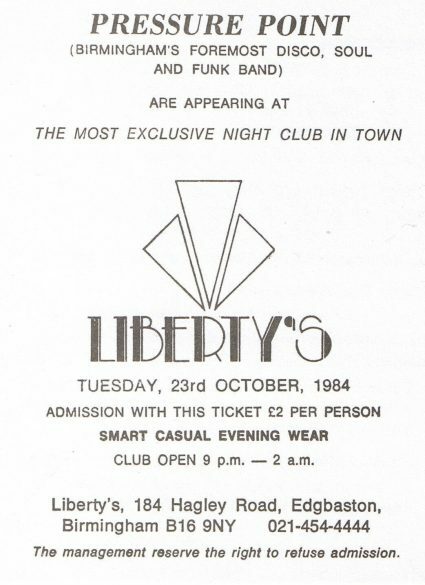 Hi, I worked for Liberty’s sister club Millionaires, I was Assistant Manager from 1986- 1989, I then went to run a newly aquired nightclub in West Bromwich for the same company. I have some photos, tickets etc. If your interested with adding Millionaire’s to the group. I also attended a small gig at the Que Club by the late great David Bowie R.I.P. 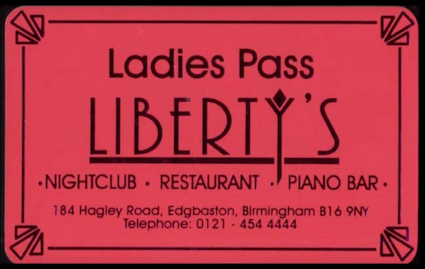 I have the ticket from this small intimate gig, if it’s of interest I can send a photo.